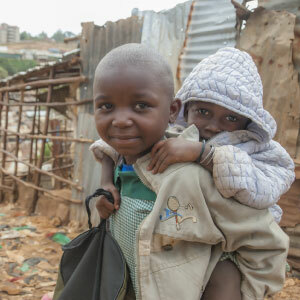 In Kenya, rapid population growth has occurred amidst poor urban governance and limited employment opportunities, leading to widespread urban poverty that is concentrated in informal settlements or slums. In Nairobi, the capital city, it is estimated that between 60 and 70% of the residents live in slums or slum-like conditions (APHRC 2014). Slum-dwellers have limited access to health and reproductive health services and they have comparatively poor sexual and reproductive health outcomes (Zulu et al. 2008). Within urban areas in Kenya, unmet need for contraception is greater among the poorest women, and their childbearing is often mistimed or unwanted (Ezeh et al. 2010). However, it is suggested that the gap between poor and rich in the use of modern contraception in urban Kenya is narrowing, and that family planning (FP) services may be increasingly reaching the urban poor (Fotso et al. 2013). Using data collected from representative samples of the slum population in Nairobi in 2000 and 2012, we recently examined changes in the use of modern contraception in Nairobi slums over the period (Beguy et al 2017). Overall, there was a dramatic 19-percentage-point increase in the use of modern contraception among married women between 2000 (35%) and 2012 (54%), with a substantial improvement among hitherto disadvantaged groups, i.e. poor urban women. This is consistent with the substantial increase in modern contraceptive prevalence rate (CPR) over the last decade in Kenya, from 32% in 2003 to 53% in 2014, with the public sector being the major provider of contraceptive methods. While in 2000 there were significant differentials in the CPR by various socio-demographic and socioeconomic characteristics, these associations had nearly disappeared in 2012. For example, in 2000, women with secondary or higher education were much more likely to be using modern methods than those with no education (43% vs. 13%). By 2012, usage had increased in both groups, and the differences had considerably shrunk (54% and 33%, respectively; see Table 1). Overall, data suggests that the observed increase in modern CPR among women of reproductive age in Nairobi slums between 2000 and 2012 was overwhelmingly due to a change in their reproductive behavior with respect to use of modern contraception. This is consistent with findings from a recent study which demonstrated that changes in behavior explained much of the increase in modern CPR in 27 countries in sub-Saharan Africa, including Kenya (Emina et al. 2014). The change observed in Nairobi’s slums was probably due to the revival of family planning (or FP) programs in Kenya over the past few years. To address the significant disparities in contraceptive use and unmet need for FP in the country, the government of Kenya sought to eliminate stockouts of contraceptive commodities and remove financial barriers to family planning services by introducing, in 2006, a budget line for contraceptive commodities in the Ministry of Health’s annual budget. This has significantly narrowed most of the gaps in CPR since 2008–09. Other programs were set up to expand the reach and quality of FP programs among disadvantaged groups, including women from urban slums. For example, the Gates Foundation–funded Kenya Urban Reproductive Health Initiative (Tupange) was implemented between 2009 and 2015 to raise the CPR by at least 20 percentage points in poor urban settlements in five cities: Nairobi, Kisumu, Mombasa, Kakamega, and Machako. Our analysis shows that more effective meeting of fertility preferences, particularly among women who want to cease childbearing, has contributed to much of the increase in use of modern contraception among women in Nairobi slums. Those who want no more children have the highest levels of contraceptive use: over 60% in 2012, reflecting a 56% increase over the period 2000-2012. In addition, compositional change also plays a role in increasing CPR in Nairobi slums. For instance, the increase from 34% to 46% in the proportion of women with at least secondary education and the fact that these women also have the highest levels of contraceptive use explains much of the change in modern contraceptive use between 2000 and 2012. This finding corroborates previous evidence showing women’s education to be a key determinant of modern contraceptive use, and suggests that, even in slum settlements, education may have a powerful effect in bringing about social change. Data also show that as child survival has improved over time, the demand for contraception to space or limit childbearing has increased among women in Nairobi slums. Although we were unable to assess changes in the quality of reproductive health services, the proportion of women reporting that they were informed about FP when they visited a health facility increased considerably between 2000 and 2012. Our analysis also shows significant behavioral effects, suggesting that programs may be adopting strategies to ensure that women attending health facilities are provided with appropriate information to assist those who wish to adopt FP methods. For example, Tupange activities include training health care providers, FP orientation for all facility staff, and integration of FP services with other maternal and child health and HIV/AIDS services (Speizer et al. 2013). Also, the program’s social franchising of private providers has helped expand provision of FP services, in conjunction with its advocacy for increased resources for FP to improve commodity security and create a conducive policy environment. Other activities include working with community health workers to promote and distribute FP methods; community awareness and educational activities with local leaders, women, and youth. This research suggests that in Nairobi slums, the largest gains in FP uptake between 2000 and 2012 were made among previously disadvantaged groups. Much higher increases among previously deprived groups have reduced inequity in access to contraceptive methods, constituting the main force behind the increase in overall contraceptive use. This may be the result of efforts by the government of Kenya and its development partners to reduce the disparities in uptake and use of FP services by targeting the poorest segments of the Kenyan population, such as those living in urban slums. This success is also an indication that such programs need to be sustained and scaled-up across the country. APHRC – African Population and Health Research Center (2014). Population and Health Dynamics in Nairobi’s Informal Settlements: Report of the Nairobi Cross-sectional Slums Survey (NCSS) 2012. Nairobi: African Population and Health Research Center. Beguy D., Ezeh A.C., Mberu B.U., Emina J.B.O. (2017) Changes in Use of Family Planning among the Urban Poor: Evidence from Nairobi Slums. Population and Development Review, supplement chapter. DOI: 10.1111/padr.12038. Ezeh AC, Kodzi I, Emina J (2010). Reaching the Urban Poor with Family Planning Services. Studies in Family Planning. 41(2):109-116. Fotso J, Speizer I, Mukiira C, Kizito P, Lumumba V. 2013. Closing the poor-rich gap in contraceptive use in urban Kenya: are family planning programs increasingly reaching the urban poor? International Journal for Equity in Health. 12(1):71. Emina JBO, Chirwa T, Kandala N-B (2014). Trend in the use of modern contraception in sub-Saharan Africa: does women’s education matter? Contraception.90(2):154-161. Speizer IS, Corroon M, Calhoun L, et al. (2014). Demand generation activities and modern contraceptive use in urban areas of four countries: a longitudinal evaluation. Global health, science and practice. 2(4):410-426. Zulu EM, Dodoo FN-A, Ezeh AC (2002). Sexual risk-taking in the slums of Nairobi, Kenya, 1993-98. Population Studies. 56(3):311-323.